UVA received a record number of applications this year (photo credit: Karen Blaha). It was a banner Early Action cycle for the University of Virginia this year. In all, 25,126 students applied for Early Action admission — a new benchmark for the school founded by Thomas Jefferson and an increase of about 17% from just last year. Of these 25,126 applicants, 6,550 earned admission. 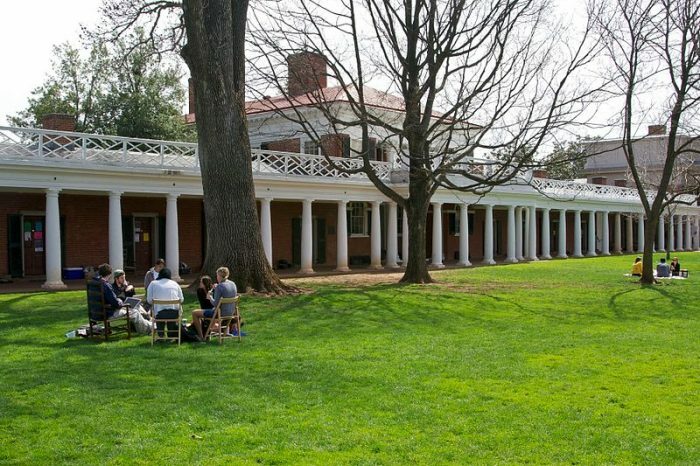 This marks an Early Action admit rate of 26% for UVA’s Class of 2023. This same figure stood at 27.7% for the Class of 2022. Overall applications to UVA are up this year as well. Including both the Early Action and Regular Decision rounds, 40,804 students applied to UVA this year — an increase of 10% from last year. Congratulations to our students at Ivy Coach who earned admission to UVA this Early Action cycle! We’re so very happy for you. Go Cavaliers!